I like buttercream. I like it too much! I usually place a big swirl of vanilla buttercream onto my cupcakes. I love it! Sometimes, if there is leftover buttercream in the piping bag, I can’t resist the temptation… Yummy! I’m sure that most of you have tried buttercream more than once. But have you ever made it from scratch? A home-made one? If you follow this simple recipe, as well as the following tips, you can get your own delicious buttercream done within minutes! ◊ When I make standard buttercream, I like that the proportion of the icing sugar to be at least the double than the butter (the more icing sugar, the more consistent the final texture is). ◊ Butter temperature is also very important for the final consistency. We must use the butter at room temperature (5-10 minutes outside the fridge, depending on the warmth). If the butter is too warm, the buttercream will be too watery. ◊ Before switching the mixer on, BE CAREFUL! Cover your mixing bowl with a clean cloth or similar in order to avoid splashing the whole kitchen. Icing sugar spreads very easily. for 4 minutes, ½ speed. ◊ You can colour your buttercream in order to get the colour you wish using food colouring (paste colouring is better than the liquid one because doesn’t change the consistence of the buttercream). I’ll talk about food colouring in future posts. ◊ If your buttercream isn’t very thick, you can put it some minutes inside the fridge before using it in order to thicken it (but just for a while!). 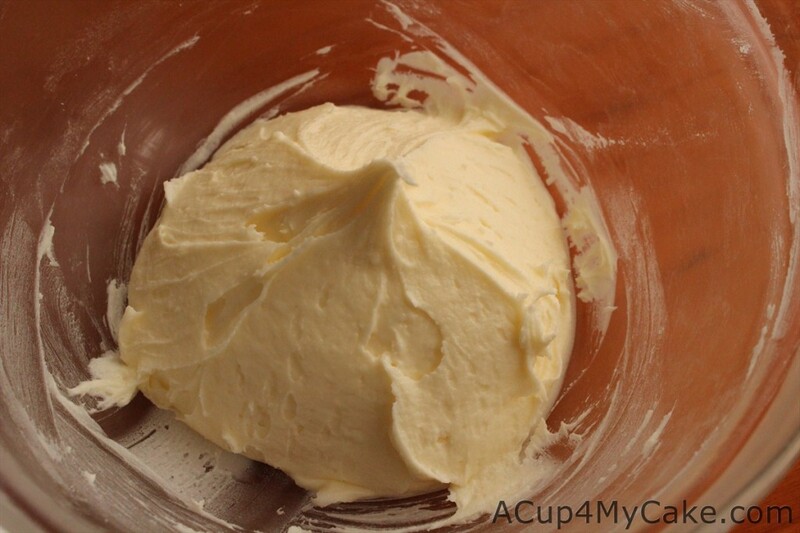 ◊ Buttercream can be preserved in an airtight container inside the fridge during a few days. Whenever you want to use this buttercream again, it will be rock hard, so you will need to leave it outside the fridge until it reaches room temperature. Hi, can i use CMC to stabilize my buttercream? where i live its very humid and it melts a little and doesn`t keep its shape for long time..
I’ve never tried it before so I cannot tell you if it works, but you can make swiss meringue buttercream (which is quite stable) or an american buttercream with a high ratio of shortening (Crisco in US, Trex in UK). Regards!